43 Church Street in Westborough Massachusetts is Michael Fitzpatrick’s most recent house restoration. 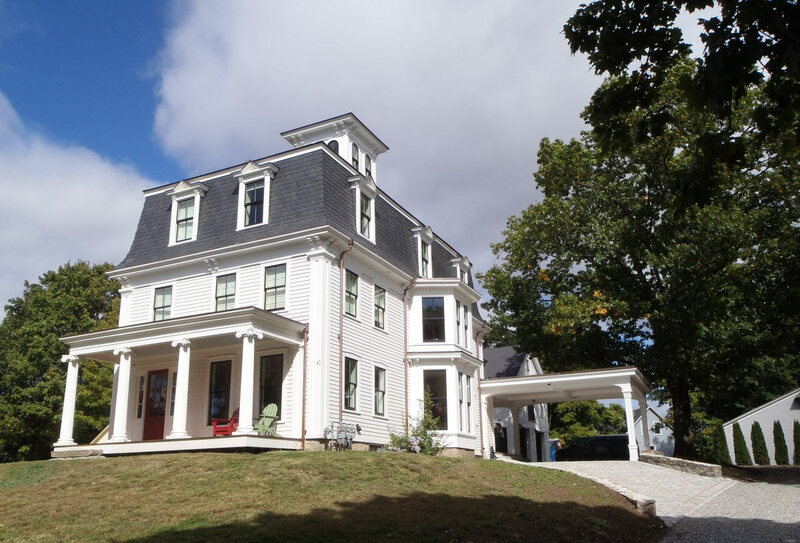 It took 4 years to restore the abandoned Italianate property, with a barn, slate mansard roof and cupola – to a point where it could be occupied in 2012. In 2013 it was nominated as Renovation of the Year in Massachusetts, and in 2014 was selected as one of Fine Homebuilding Magazines top 15 “Best Renovations in the USA” and noted in their annual “Houses” issue. Phase I encompassed the restoration of the main house, and cleared the grounds of years of overgrowth. Phase II addressed the Barn and rear portion of the grounds, which is still under way. 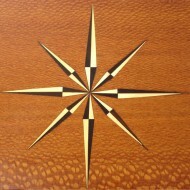 Visit the site (www.43ChurchSt.com) to see the progress photos and to meet our team of craftspeople. The blog shows day to day operations on the job from the closing to the occupancy. And be sure to check the 43 Church Street Restoration YouTube Video featured in the North Bennet Street School Annual Evening of Craft, featuring “Michael Fitzpatrick, Beyond Furniture Making”. Michael Fitzpatrick worked side by side with his employees: teaching, managing, and busy with the daily work of creating. Fitzpatrick did much of the roofing, framing, drywall, flooring, electrical, plumbing, finish work, tile, exterior detail (video featured on Fine Homebuilding.com: ) crafted doors – the front door was an exact recreation of the original made of mahogany – cabinets, vanities and stairs. 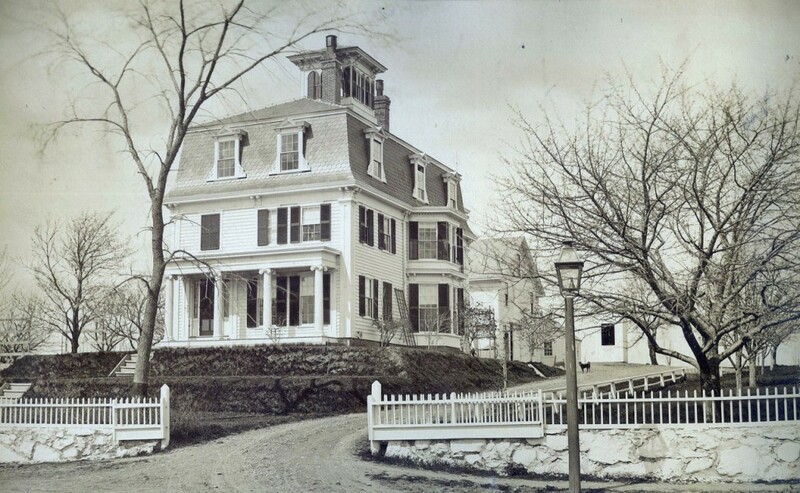 There were articles written about the work, and Fitzpatrick was published in a book “For Pro’s By Pro’s” by Taunton press for the restoration details that were hand carved on the house. The Cupola is often illuminated bright white, but changes color for occasion: Red for Valentines Day, Green for St. Patricks Day, Orange for Halloween, Gold for Bruins Victories, Red for Red Sox wins! A request from an elderly couple celebrating their 60th wedding anniversary, where there theme color was Blue in 1953, was requested by the husband to surprise his wife on the drive home from their celebration. Parents have called to have the cupola glow in their children’s favorite color for their birthdays – they either drive by, or the kids houses are within the wide radius able to view the cupola in the town. The house has become a community icon, and is visited often by blog followers from around the country and the world (blog followers have showed up from Australia, the UK, and Sweden). There were 500 visitors that showed up for the open house, prior to move-in. This will be a life long project to see it to polished completion, but the old Chinese Saying “House Done, Life Done” will be the mantra until then!